Pakistan-based Askari Bank has gone live with Autosoft’s Islamic treasury management system, Adams Islamic, and its RTGS STP utility (real-time gross settlement system straight-through processing), AutoRTGS. The bank can manage its Islamic treasury operations using Adams Islamic as well as process funds transfers between banks using AutoRTGS. Adams Islamic is also integrated with the bank’s Oracle FSS’s Flexcube core banking system, which supports Shari’ah-compliant operations. Nasir Zaidi, head of treasury operations at Askari Bank says to “fulfil our existing and potential customer’s banking needs” Autosoft’s implementation has “given us the tools and technology” to do that. 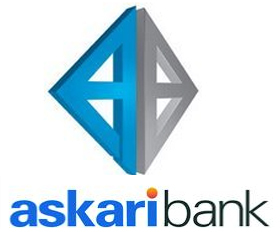 Askari Bank has been using Autosoft’s conventional treasury management system since 2002 to support its treasury trading desk. It is also a long-standing user of Autosoft’s flagship core banking offering, Autobanker, for its conventional banking activities. Autosoft focuses on the banking and financial services sector – both conventional and Islamic – with the majority of its customers based in Pakistan. It also has a number of sites in the Middle East and Africa, particularly in South Sudan. Overall, it has around 20 customers and employs 130 people. Domestic users of the Autobanker core banking system include Al Baraka Bank (Pakistan), Sindh Bank and First Women Bank. In South Sudan, clients include Eden Commercial Bank, Royal Express Bank and People’s Bank. Autosoft's Autobanker beats Oracle's Flexcube and Temenos' T24 to the deal. National Bank of Pakistan (NBP) has picked a core banking system and vendor for its operations in Afghanistan – Autosoft Dynamics and its flagship Autobanker offering.